I have a friend who wears a watch that doesn’t work, to remind himself when he looks at it that the time is now. True story. So, that’s a good thing. Now it makes me think about how, although it may be a cliché, things really are so often about moderation. I think it’s trite to say that one can focus only on today and never think about the future, but I get that worrying overmuch about tomorrow ruins today. I often remind myself not to borrow worry and to just focus on one day at a time. During the wait for results, or as four months since the last scan turns to five months, then to six, I don’t consciously think I’m limiting my planning or figuratively snapping my imaginary rubber band on my metaphorical wrist to stop bad thoughts. But I must be. Tricky and slippery thing, the mind, isn’t it? I conclude that I must be, based on the slowly creeping relief I feel when I receive the result that there is again no change in the tumour. It really does feel like I might think now about booking a vacation. I don’t mean that metaphorically, either. I booked flights last night. In these days of travel insurance issues, you can’t be too careful about making sure you’ve not had a change in condition or medication within three months of travel, you know! And it feels like I’ll celebrate a little, we started with a dinner out at a favourite restaurant last night. I start to think about the things that will happen before my next scan could change anything. I’ll have a birthday and enter a new decade of my life. That will be good; nothing makes you appreciate aging like the skulking thought that you might not get the chance. Winter will be over – I could book more than one vacation before that happens. I’ll put a bow on a few projects at work. We’ll think some more about whether or not to get another dog. On the slim chance that you’ve somehow missed the craze around being mindful, being present, and living in “the now”, open your search engine and look up Eckhart Tolle. Even before Oprah got hold of him and put him on her book list and he became Oprahfied, his books were good on this topic. I am poking fun a bit, but the ideas are valuable, without doubt. I think being able to set aside the negative thought cycles of past and future is a skill that comes naturally to some people, and that can definitely be developed by anyone. Something in this vein is, in my opinion, required reading for anyone facing health or mental health challenges, or anyone that loves someone who is. So, for most of us! 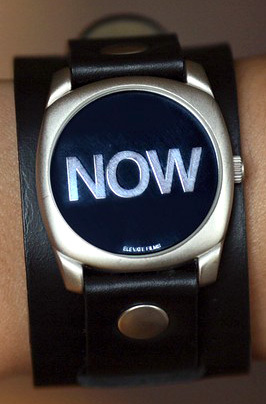 I’ve decided that living in the now might mean focusing on today, and making some modest plans, for like, the next six months. It turns out this healthcare schedule really forces what is probably a healthy focus on today, and on the near future. It makes you diligent about maintaining that, because if you don’t, well, that way madness lies. my story seems to parallel yours a bit. just last week, I finished treatment for a grade 3 anaplastiic Astrocytoma I call Teddy. I’ve blogged about my experience as well. Thanks for reading, kerylong. I’ve met so many people who find blogging a therapeutic outlet. I guess it’s our modern times version of diary writing, but I think it’s cool that we can all read each other’s diaries now, where people are willing to share. People say the internet and modern technology has distanced us from each other, and isolated us. Maybe in some cases, but I see a great number of cases where it helps people express themselves and find one another, people who would never otherwise connect. So pleased to hear that you’re holding steady!! I also recently received the first CT results since starting the clinical trial I am participating in (weekly Chemo+ 800mg Pazopanib daily). Clear reduction in the tumours in my lungs and the spleen has cleared up totally…I’m not out of the woods yet but for 8 weeks into the study, the results are very positive!! I totally agree with the need to step out and look in….I am a professional Opera singer -that used to be ME, now I seem to be in a daily struggle not to be that poor girl putting up the good fight….I’m not making much sense, but I totally relate to what you’ve written today – Thanks for putting it all into words!!!! Thanks Louise, I understand what you’re saying completely. I’ve thought a lot about what a diagnosis like this makes me think about myself and how I identify myself, internally and to other people. I wrote about this exactly in a post awhile back, Identification Please? That was what your comments made me think of, in any case! I wish you the best with your continuing treatment and clinical trial, it definitely sounds both promising and encouraging! Thank you for this article, my thoughts exactly as well on the main points (BT survivor alumni 2011, ha!). In fact, even wrote a book about this topic called “Day By Day” (melissanichols.ca). I am looking to book a trip for the early new year, but am waiting until mid-december to book, as I have a follow up to see if the latest radiation worked which ended in september. Its a bitter reality now. I refuse to live rest of my life biting my bottom lip in nervousness as each checkup, but its a reality we live. Will I see the age 35? I think about it, but for the most part don’t let the worry get to me. Surely those thoughts with get easier with time, ironically. Years ago while I was volunteering for a fundraising event for the Visiting Hospice I volunteered for- I was asked by a man who was doing research for a book he asked why I volunteered. I responded “to be hip to hip with the patient- to be present, in the moment with them”. Thats how I (try) to live my life. Live in the moment. This is the best post I have read! Alix it is so true to life. Glad all is well with you. I am fine also. Seasons Greetings to you and yours. HI Alix, I came across your story on Facebook today and I have a nearly identical story! I was diagnosed with a brain tumor in 2010 and elected to have brain surgery in 2011 to remove about 75% of the tumor, but have treated the remaining tumor with only alternative methods since then. This experience has led me down a path of self-discovery and enlightenment that has truly been one of the best things that has ever happened to me. In addition to the methods you’ve outlined, I’ve put together a list of alternative treatments that I have used over the past few years which have since put me into complete remission! Please take a look at what I’ve been up to and read my blog at vitaminqi.tumblr.com – hopefully you’ll get the same kind of response from my daily routine that I’ve had and you’ll go into complete remission as well. I’ll follow your blog now that I’ve found it, I don’t post in my blog very often, but feel free to follow it as well if you’d like – the information in it I use every day and I feel phenomenal mentally, spiritually, and physically. Hi, thank you so much for reading and for sharing your experiences. I will definitely check out your information, congratulations on your success. It’s inspiring to get in touch with people like you, thank you. I haven’t had any surgery other than biopsy, so I’m always interested in stories of people a little further down the treatment and intervention path than me! Thanks for reading. I would recommend seeing Dr. Friedman at Duke University Hospital in Raleigh/Durham, NC for the surgery if you choose to do one… he performed my surgery and I researched this extensively, (Dr. Friedman had also performed Ted Kennedy’s surgery) and he’s the top in the field… the first surgeon I met with told me that my tumor was inoperable… so I went to Dr. Friedman for a 2nd opinion and he blew me away with how confident he is that removal was the best option.. even though they got just 75% of it out, it gave me the chance to treat naturally from there without chemotherapy… The Robert Tisch Brain Tumor Center at Duke University was fantastic in every way and I couldn’t recommend them any more. Thanks for sharing this contact, I appreciate it very much and sincerely and fervently hope I never need it! 🙂 Tongue in cheek, there. Thanks for sharing this information. I’ve read about B17 previously; to be honest, this is one I’m not personally convinced on, but I always support everyone’s right to pursue whatever treatment options they have researched and believe are helpful, as long as they’re safe! Hi! This was so refreshing to read. Thank you for sharing! I am also on the wait and watch, although I did have surgery in May 2012. My next scan is in Jan, and the month scan thoughts are starting to come 😦 I have a wordpress of my Journey if you would like to read it karenlynnmorris.com. I am still trying to figure out my new normal. Again, thank you for sharing!